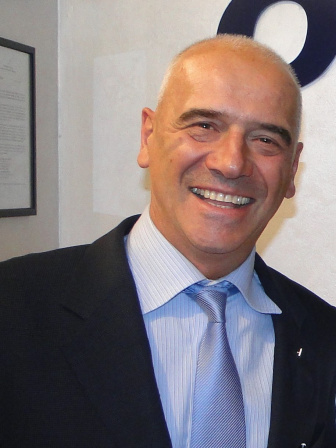 Alberto Gobbi graduated in 1983 and completed his residency program in 1988 in Orthopaedic surgery at Milan University and Sports Medicine in Genova in 1992. Dr. Gobbi himself was an athlete at national level and served the Italian National Olympic Committee, for the World Motocross Championship, African Rallies, offshore boat racing, down-hill ski, volley and basketball. He was nominated “azzurro d’Italia” in 1998. His participation in high-risk sports led him to focus on trauma, surgical technique and advanced rehabilitation, he became a point of reference for many International athletes. He worked for several years with many major International experts in orthopaedic surgery, arthroscopy and regenerative medicine who are now considered the Giants. He was one of the first Europeans to join the International Cartilage Repair Society. In 1996 he became an International member of the American Academy of Orthopaedic Surgeons (AAOS) and then Honorary Member of the Arthroscopy Association of North America (AANA). Since then he has collaborated with the most important scientific Societies including ISAKOS and ESSKA. Dr Gobbi pioneers research on biological therapies of orthopaedic injuries, establishing an international reputation in the field of regenerative medicine and developing advanced surgical techniques with the use of mesenchymal stem cells and growth factors. He performs highly qualified scientific, surgical and educational activities at International level. He served as a reviewer for many journals, is Associate Editor of “Cartilage” since 2010 and in 2012 he received the award for Best International Publication in an American Journal. In 2011 he was acknowledged as a Visiting Professor at Kobe & Osaka University, Japan, in 2014 he was nominated Visiting Professor in the Department of Orthopaedic Surgery directed by Prof. David Amiel at the University of California San Diego – UCSD. In 2018 received certificate of appreciation from Yonsei University Korea and he was nominated Honorary professor at the University of Peking and at the N.U.S. National University of Singapore where he also delivered the VK Pillay Lecturer. He founded OASI Bioresearch Foundation Gobbi Onlus (NPO) which is recognized as an International Teaching Center by ISAKOS and ICRS and has dedicated his time to teaching hundreds of fellows during the last 20 years. He has published over 200 scientific papers in international peer-reviewed journals, edited several books and contributed many chapters in scientific publications. He currently serves on the board of directors of ISAKOS and he is the ICRS President.